Did you know that in 1964 President Lyndon B. Johnson signed into law the first national White Cane Safety Day? 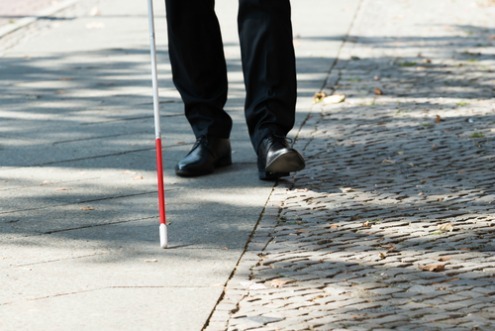 Typically celebrated on or around October 15th, the use of a white cane is not just for those who are blind. This well recognized symbol provides safety, independence, and confidence to those who suffer other visual losses such as depth perception or central or peripheral vision loss. Using a white cane comes easier with practice and instruction from an orientation and mobility specialist. Sidewalks, curbs, and stairs become easier to navigate. Detecting doorways, walls, and large objects prevents falls and provides added security. Find out the benefits of using a white cane, how best to use it and how you can get one for free.